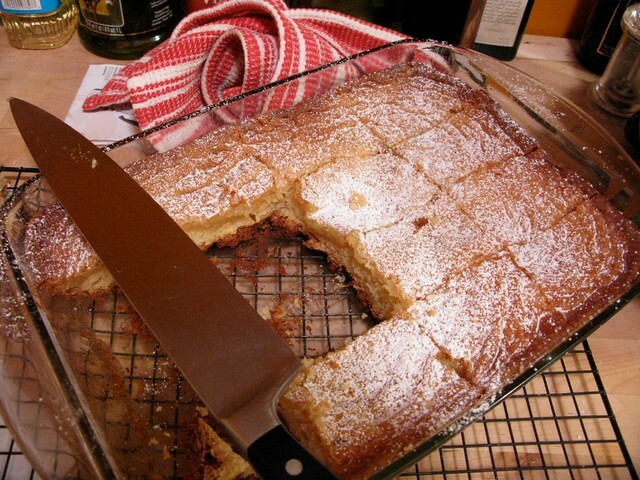 You could even, to get your kids to like it (and oh, they will), call it Toasted Marshmallow Cake. And who doesn’t want to bake a Toasted Marshmallow Cake this weekend? You’ll have me, Deb, Melissa Clark & Lady Gaga to thank. 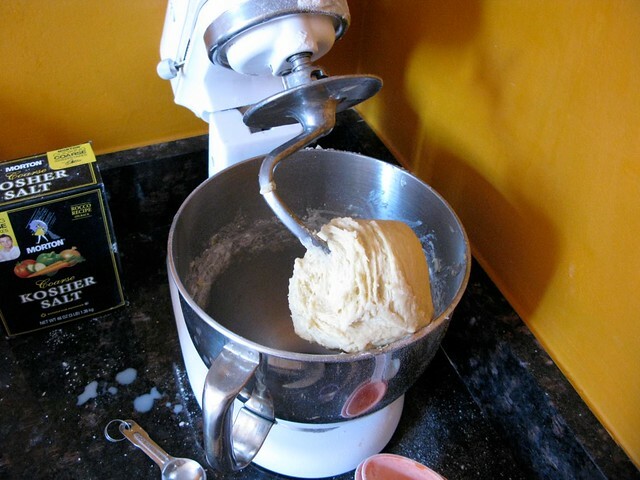 Make the cake dough: In a small bowl, mix milk with 2 tablespoons warm water. 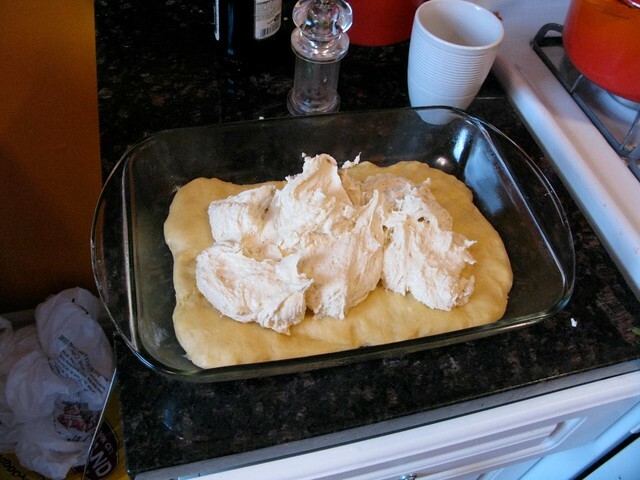 Add yeast and whisk gently until it dissolves. Mixture should foam slightly. Using an electric mixer with paddle attachment, cream butter, sugar and salt. Scrape down sides of bowl and beat in the egg. 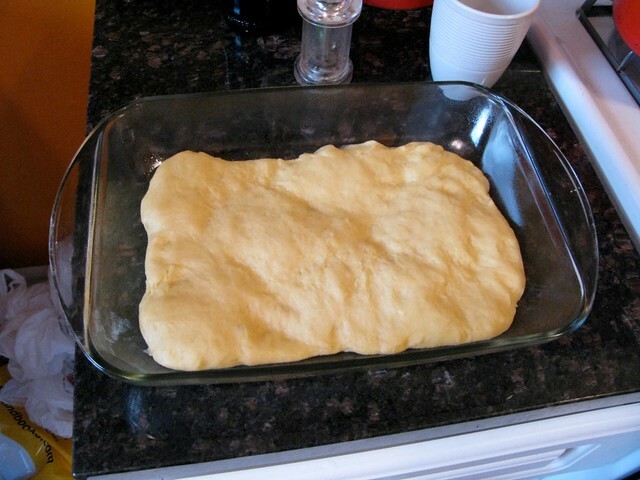 Alternately add flour and the milk mixture, scraping down sides of bowl between each addition. Deb suggests switching to a dough hook at this point (which I did) to beat dough on medium speed until it forms a smooth mass and pulls away from sides of bowl, 7 to 10 minutes. 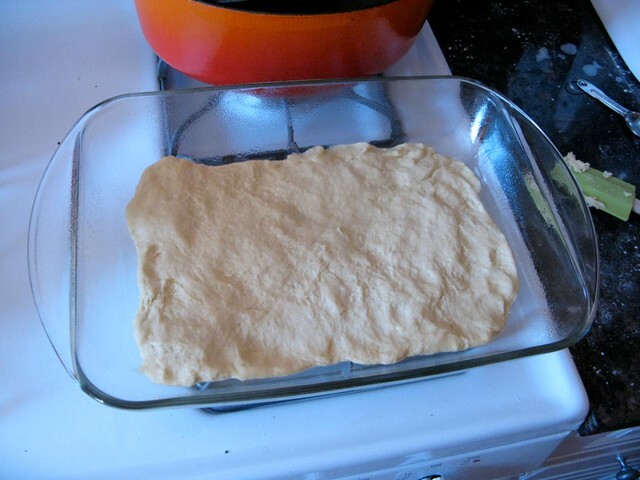 Press, stretch and nudge dough into an ungreased (Deb says to grease it, so I did with cooking spray) 9-by 13-inch baking dish (Deb suggests a glass baking dish) at least 2 inches deep. 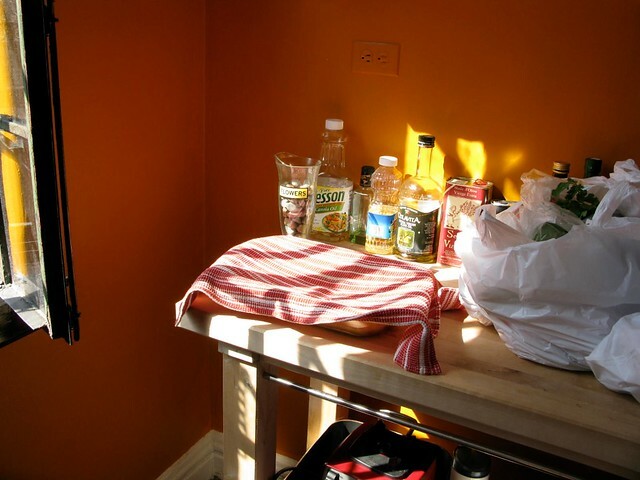 Cover dish with plastic wrap or clean tea towel, put in a warm place, and allow to rise until doubled, 2 1/2 to 3 hours. Heat oven to 350 degrees. 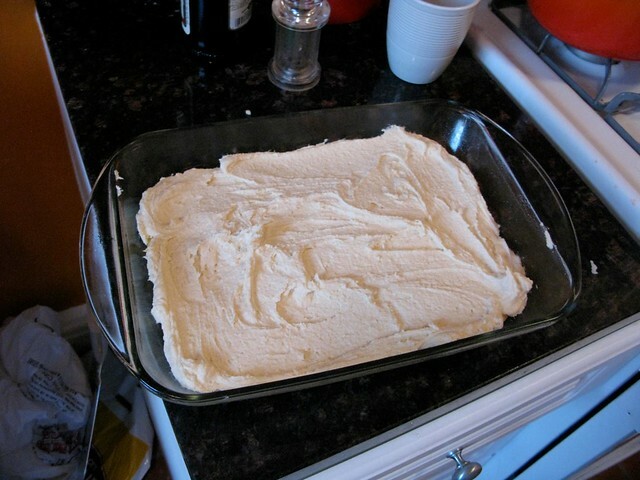 To prepare topping, in a small bowl, whisk corn syrup with 2 tablespoons water and the vanilla. Using an electric mixer with paddle attachment, cream butter, sugar and salt until light and fluffy, 5 to 7 minutes. Scrape down sides of bowl and beat in the egg. Alternately add flour and corn syrup mixture, scraping down sides of bowl between each addition. 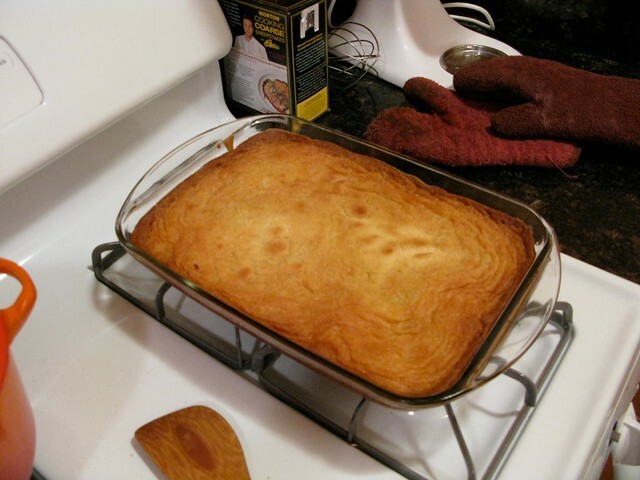 Spoon topping in large dollops over risen cake and use an offset spatula to gently spread it in an even layer. 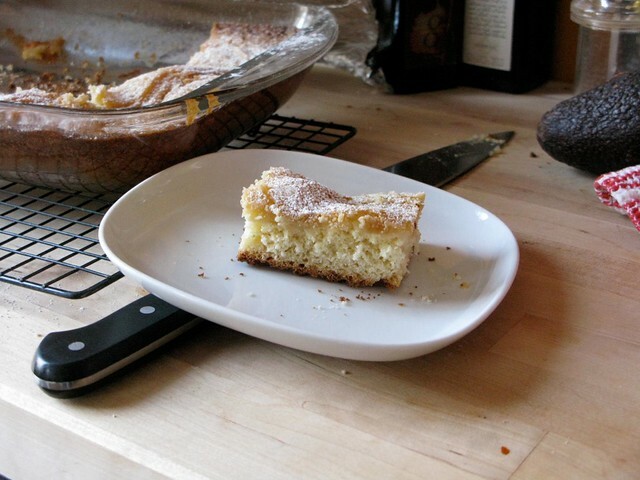 Allow to cool in pan before sprinkling with confectioners’ sugar for serving.